With the exception of ordered jazz tops, uniforms are required at the start of classes. However, if you have issues please let your teacher know at the start of class. Pre-Ballet, Primary Ballet, Ballet 1 & 2 dancers should purchase the tank style CC201C for a better fit. Tights: A soft shade of pink footed or convertible/transitional tights. Dancers with darker skin tones may opt for a tan color. No footless tights, please. Transitional tights are required for pointe work and all modern classes. Ballet Slippers: Pink Ballet Slipper or split sole slipper (canvas preferred) – no Target, Walmart, or Payless brands, please. Top: Black Ballet Caliente jazz top ordered through the SHOP! portion of our website. Pants: Black jazz pant, with shaped waistband and a boot cut. Any brand. Shoes: Girls - Tan Split Sole Jazz slip-on shoe, no laces. Modern students wear their colored class leotards with transitional, footless, or stirrup tights in pink, beige, or black. Students dance barefooted in Modern. Students wear their colored class leotards with dance shorts and street sneakers without black soles. Dance stores, such as DanceSuppliesEtc.com and DiscountDance.com often carry the Capezio leotard line. The color of your dancer's leotard is important as it denotes his or her level. Leotard Swap: The Swap will take place during orientation week and periodically during the year. • T-shirts, sweatpants, plastic pants, gym shorts, and baggy or loose fitting items are not permitted. • Only small stud earrings allowed. No necklaces, bracelets, or watches. • Dance bag is required for dancers at all levels. Click on photo to be taken to an Amazon.com link. While the camisole style strap is allowed, young dancers may find they feel more comfortable in a tank strap leotard. Ballet 2 students may opt for either the Capezio tank or camisole strap style leotard in a lavender color. 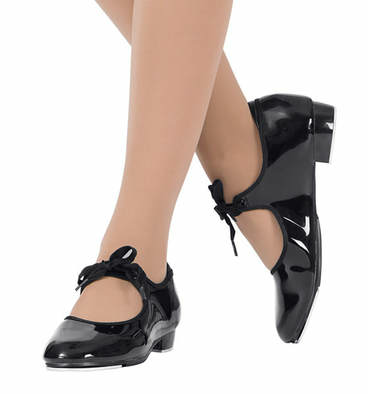 Tap shoes come in a variety of styles and price ranges! Ballet Caliente's teacher, Katrina Szymanski, has suggested the following shoes for each class level. Click on the photo to go to the link on Discount Dance Supply. 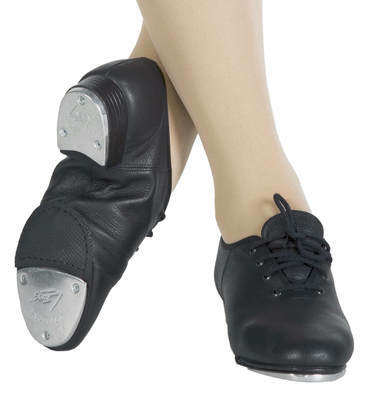 Features a non-slip rubber pad that is located behind the tap, firm heel counter and light toe box for support and a snug fit while maintaining comfort. 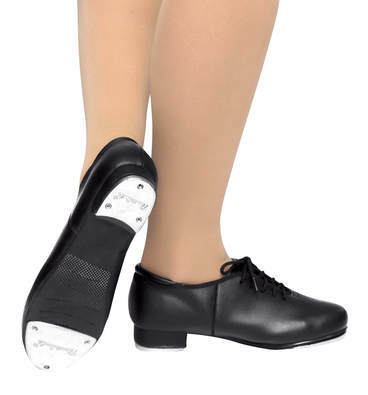 Jazz tap lace up shoe with taps that are screwed on and have a sound board. Other features include a heel counter, a non-skid rubber patch for safety, and a cushioned sock lining for comfort. For those who find they want to become more serious about tapping, the split sole shoe features genuine full-grain leather, a 3/4" heel, and attached Ultratone taps.